Virat Kohli’s controversial dismissal on day three of the second test left the Indian team visibly surprised revealed pacer Jasprit Bumrah on Sunday. However, Kohli and Co. have moved on from it and are now focussed on restricting the Kangaroos to a chasable total. 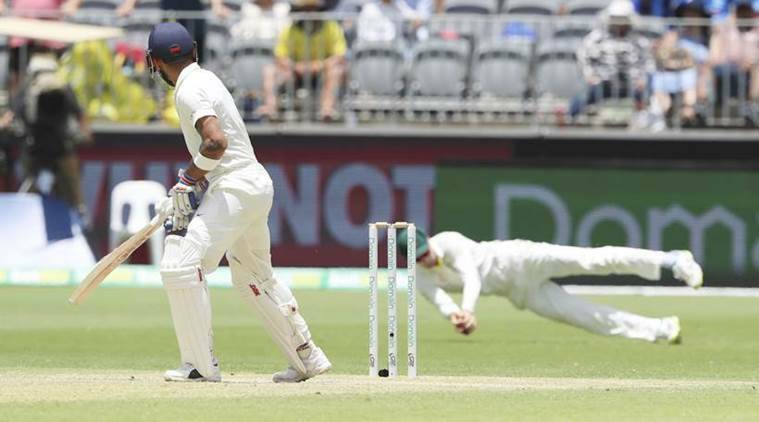 Kohli was out when Peter Handscomb took a catch at second slip off Pat Cummins’ but on-field umpires referred to the third umpire with a soft signal of out. However, TV replays were not sufficient enough to overturn the decision and a disappointed Kohli walked off the ground. Giving insights on India’s gameplan on day four he said, “Tomorrow the first session will be important. We want to take early wickets, so it will restrict the total to as less as possible and that will help us to chase it in the fourth innings. In my eyes, our team is capable of chasing any total but we will try to minimise as much as possible,” he said. “If you see the match, nobody has really gotten out (to balls that come) off the track. The crack is just there but it doesn’t do a lot. It’s only in the mind. So yeah, we will not take that into consideration (while batting),” he added. Accessing the pitch condition at Peth, the 25-year-old said, “According to me, the way I assess it, the first session of the first day was the best time to bat because we thought the wicket was green but it was not doing a lot. After that I think it hardened up because there was so much heat. Then the bounce increased and the wicket fastened up. So this is what I felt at that time. “So, now, after we assessed the pitch in the first innings, we realized the length we had to bowl. We were much clearer in the second innings and from the start we wanted to hit that length,” he further added.